Let me tell you about myself. I started in my early teens in my local youth club, and after a couple of years of doing parties for friends and family, I saw an opportunity to turn a hobby into a business. For the last 30 years as a full time DJ, I have managed to secure and hold down residencies in some of the top hotels and golf clubs in the central belt. I also provide a wide range of entertainment from kid?s parties to marquee weddings and everything else in-between. I have an extensive music library and am able to play everything from strict tempo to the current favourites. Whatever your event, I'll do my best to make it a night to remember. So ping me an email or give me a phone for a no obligation quote. Required by many venues, Bobby Mac Disco has a current PLI policy with AMP DJ in the amount of £10 million. 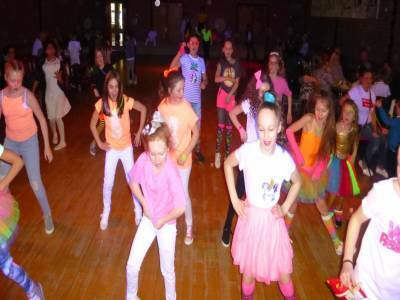 Also required by many venues, Bobby Mac Disco has supplied satisfactory evidence of holding current PAT inspections of their equipment dated within the last 12 months. A Method Statement, outlining Bobby Mac Disco&apos;s Health & Safety procedure for setting up disco equipment has not been supplied. Why do people choose to book Bobby Mac Disco? Local DJ who is familiar with the venue and offered a good price. "Bobby Mac was brilliant.. would recommend him. Interacted well with family and friends.. went out his way for people to play what they asked for. Music was brilliant he played for all ages.. Had everyone up on the dancefloor"
"Excellent service from Bobby. Happily recommend for any events. " "Everyone had a great night. 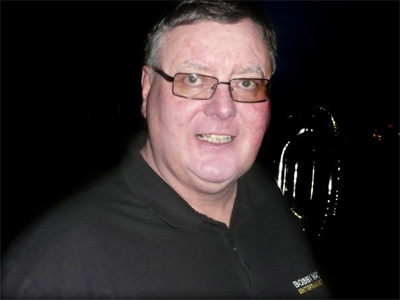 Would recommend Bobby especially for events with a wide age range." "Bobby Mac was brilliant. Everyone who attended commented on how good the mixture of music suited all tastes and ages. His cheeky but pleasant demeanour kept everyone smiling. Would definitely use him again." "What can I say? Our aim was to give the kids the most amazing send off to high school and we pulled it off with Bobby's help. He was fantastic with the kids, has music was current and he even chucked in some older songs. Highlight of the night was the Proud Mary dance off between the parents and kids! Everyone had a ball and almost a week later everyone is still talking about what a brilliant night they had. Thank you so much again Bobby "
"Thank you to Bobby for accommodating a considerable volume of requests from a very excitable bunch of hens! The music certainly topped off my best friend's hen do perfectly and the photo frame prop was a fab addition! Thank you for also taking photos for us! " "Chose Bobby Mac in Glasgow as he responded quickly to the need a disco request and was very helpful and friendly. Thereafter he communicated with me on all aspects of the night. My daughter (13) and her friend provided a playlist which Bobby worked to but with his experience and reading the atmosphere in the room changed it up for the better when he saw some of their selections were maybe not working too well to get the very demanding kids up on that dance floor !! The set and lighting were perfect and Bobby made the night fun and interacted and got the kids involved. Even the boys! A big thank you for making the night a success and I would highly recommend Bobby for any occasion"
"Would not hesitate to recommend Bobby Mac. He was highly entertaining, accommodating and funny. Music was varied and spot-on. Kept our guests dancing and enjoying themselves right until the end of the night. Would use him again in a heartbeat. Thanks Bobby for helping to make Elly's 18th party a night to remember!" "My family and friends had a great night and I am very glad I chose Booby Mac. he was also great with all the kids who had a fab time too." "A very warm friendly guy arrived in plenty of time had a great range of music and party games for all our required needs. Would highly recommend this guy all our kids had a great time. Definitely book him again for another party soon." 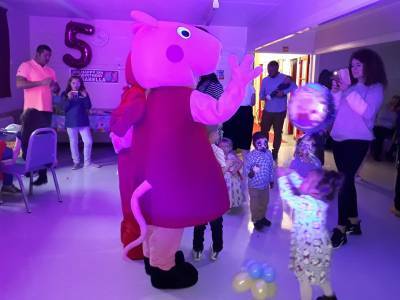 "Thanks for a great day, the kids were great, and it was really sweet when it got out that it was my birthday and they all sung Happy Birthday to me!!! !, it was a real Got-cha moment when the surprise was on me." "No problem. Good guy who was fantastic with kids and very good at what he does. Would definitely recommend this fella. Thanks again bobby"
"I booked bobby for my sons 21st party and I found bobby to be honest and reliable he knew size of club and recomended size of decks to bring and he was spot on I would highly recomend bobby he;s a down to earth guy and doesn;t give you what you don;t need like others will do just to get more money from customers please give bobby a call or email he comes with an array of tunes and very happy to accommodate all requests for any song requested bobby mac dj top man indeed and I for one will use bobby for future events without any hesitation"
"Fantastic disco, would certainly book again, both staff made a brilliant day"
"Based on my 20 or so advance requests he was able to gauge exactly what I was looking for. Everyone had a great night and I;d be happy to recommend him." "Thanks enjoyed playing for you and your family." 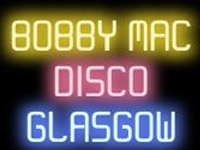 If you are contacting Bobby Mac Disco about an event, it's always a good idea to include the DATE, LOCATION, EVENT TYPE, AGE GROUP and TIMINGS to speed things up!